Today was the pick up day. Nick came down in his '89 and picked myself and friend up and drove us back up to South Carolina. We got to work on getting things ready so that the car would be good to ride back down to Georgia, so it did need a little preliminary preparations. Mechanically, everything is rock solid on this thing. It runs great. A/C is cold, heat is hot, the AOD shifts smoothly, and the 302 happily cruises down the road at 55. 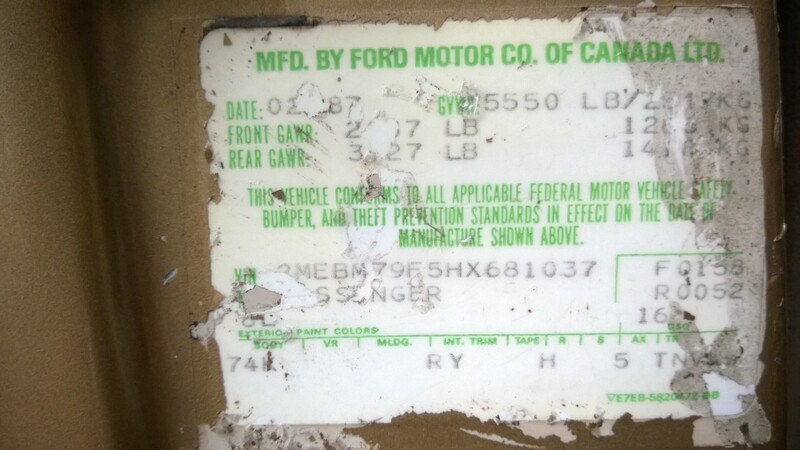 There are some minor interior things that have to be taken care of, but nothing that would be unexpected in a 30 year old wagon. We temporarily took out the front door lock actuators since one of the replacements had locked up (thanks Dorman), and the other one needed a clip. No big deal, and definitely nothing that can't be handled easily. Nick gave me a lot of extra interior trim bits to go with it and I'll be getting some more stuff next time I go up. I have wagon cargo coils to put up under the rear, along side the PI control arms and rear sway bar. We loaded the rear with the old rims and tyres along with everything else and it saaaggggggss. I believe the rear springs are likely original anyway, so the tiredness isn't unexpected. It does have good shocks, so those'll stay when the rear gets the springs put in. Right now as it sits it just needs a really good interior and exterior cleaning since it sat for a little bit. The front seats are great (Lincoln Town Car seats! ), and the rear is fair, save for the bottom cushion which I have a replacement on hand. I'll get that fitted after it gets cleaned up really well. It is interesting to note that this car is a February car and my '97 is also a February car. I'd be very curious of the specific day this one came of the line. I wonder how close it was to the day the '97 was built, as it was built on the 12th. So, what's on the list for upcoming things? Well there's some preventive maintenance that'll be done and some general repairs to get everything near 100%. That's the most serious stuff that needs attention over the next few weeks/months. Anything else that needs dealing with (small trim bits, et al) will be dealt with in-between. 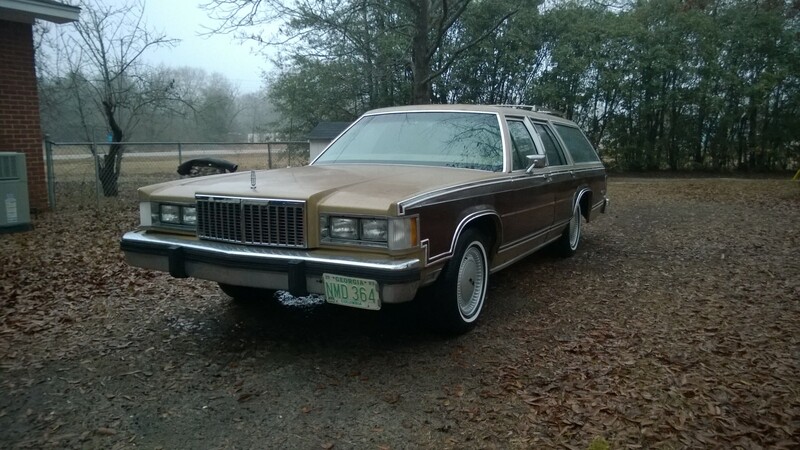 TL;DR: Got a wagon, going to clean it up, and drive! Last edited by Kodachrome Wolf; 01-02-2017 at 10:36 PM. Looks great with the Lincoln rims. those wheels have got to go. Looks like a nice straight wagon. Wish you the best with it. Y'all should've seen the wheels that I had on there when I was selling it to Him. Those are even worse . I gave him the wheels pictures since they were originally on my 1990 and I did not like them. The wagon Is in good hands now. Hope to continue to see it for future visits and meet ups. Until I wear out the tires, they're staying right where they are. I don't have any other wheels to mount (save for my Cobras; not happening on this, those are for the '97). I got the Lincoln rims for free, so I figured I'd put them to use. There's some lousy multi-bolt pattern steelies in the tailgate area with old, worn, super oversized tires (rears were 265/75R15s). I'm giving those to someone else. I might grab some steelies from the junkyard if I don't stumble across some good turbines for future use. Ha, I actually like how they look on this car - different yes, but not gaudy or anything. Those are base box TC wheels right? Only seen a few of those in person, always wondered how they'd look on wagons. Definitely adds an upscale, luxury vibe to it. Only real issue is clearance for big brakes but if you aren't going down that road, you've got nothing to worry about. Can relate to curiousity of close build dates with cars.... both Ebyt and Eva were September cars according to the door sticker. I'd go for the "bigger" brakes with turbines, and you have a perfect donor for it. "Bigger" being '96-'97 brakes which are better than box brakes but still clear 15" rims, if you do that you can use the brakes from your '97 and upgrade the '97 to '98-'02 brakes if/when you change its wheels. I want an 87 Colony Park. Let's trade two for one. Those are the 1990 specific Town Car wheels. Shame the center caps they wear are so fragile. If you pry up on them with a screwdriver without applying even pressure over that edge, they like to crack. Surprisingly I find these brakes very solid and do a great job stopping this heavy thing. While updating the brakes on both my cars would be pretty good, they'll probably keep their existing hardware. The '97 getting the Cobras will be an aesthetic deal, whenever that happens. It's tires still have plenty of tread for now, so that will be on the back burner, at least for a little bit. It's painted brown. The woodgrain was removed some time ago. Some day I'd like to get the car repainted a solid color since the paint is pretty toast on the roof and hood. The rest is fair, but wasn't a quality job when it was done. Some areas you can still find the original Sand Beige color it once wore. As much as I like wagons, I'm hanging onto this one. I really dig the pre-facelifted Box wagons since everything flows properly, and this wagon combines that along with the reliability of SEFI. I did get the tailgate area clear of some stuff today, namely the old wheels and tires that were chilling back there. That helped get the rear end up, but the new springs will take care of that issue permanently. I've got to fix the speakers in it. They crackle and pop when you first turn on the radio and then "warm up" and start playing. The driver's front speaker comes and goes. Hit a bump, it turns on, tap the dash, it turns off. The rears just sound tinny. I've got my old "premium sound" speakers from the '97. I think the rears from the '97 should fit in the back of the wagon. I'm going to do a search and figure out what I can stick up front. If the sound drops with the new stuff, I'll probably run some new speaker wire to the head unit. Next time I swing by where I have it stored, it'll be to work on it. I'm going to change the rear differential fluid and replace the springs. Looks like a tin pie plate with a star on it. Never been a fan of that wheel. I like the wheels themselves, but not necessarily on the wagon. With the two-tone paint, chrome trim, and argent wheels it makes everything look too 'busy'. 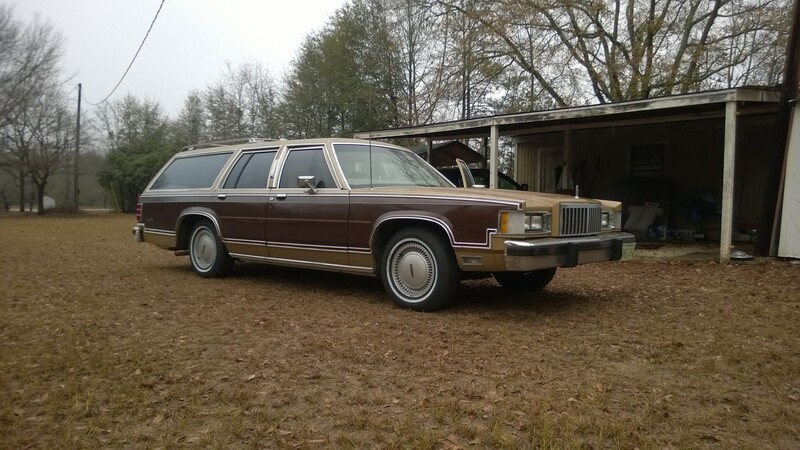 Attached is a photo of a 1990 Lincoln with those wheels and painted just one color that is similar to the main color on the wagon. On the Lincoln, the wheels look quite good. I do favor paint over that faux woodgrain tape. 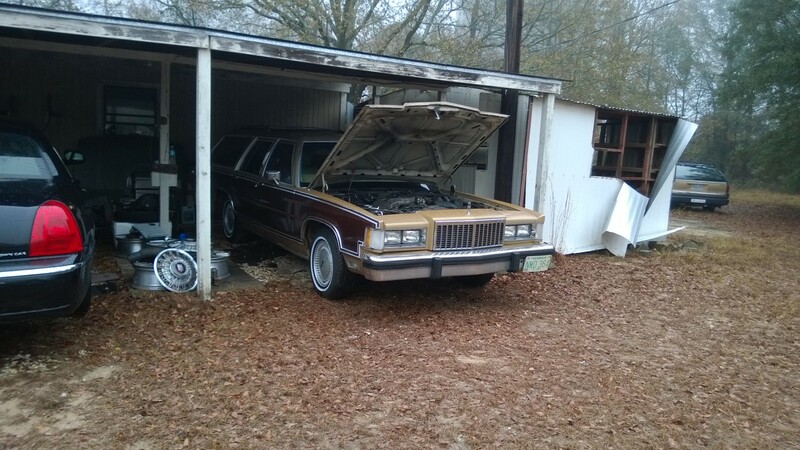 I peeled down an entire 95 Caprice wagon and that was very time-consuming and just buckets of fun. Every little scratch was a cut in the tape so that it would not come off in consistently large pieces. I took the wagon out today to run some errands and look into some existing issues. Did the initial walk around, fluid check, and thus far, it doesn't appear to be using or leaking anything. Oil level has stayed consistent, coolant appears fine and is at the right level. I'll give it to Nick, having redone most of the gaskets on the engine has made it an essentially leak-free 302. I washed it down at a DIY car wash for the first time in who knows how long so I could figure out where water leaks were coming from. I knew the front vent window wasn't 100% water tight against a strong blast of water from the wand, but otherwise stayed dry. Very small drip was noted from the upper corner of the front passenger door near the B-Pillar. I avoided spraying the tailgate seal too hard, since it too won't tolerate high pressure water spray. I checked around in the tailgate area for water intrusion, but couldn't find any. There is a distinct drip from the left passenger door near the C-Pillar, though. It looks like there's a tear in the weatherstripping allowing for the water to pass right into the cabin. I'll try and put some sealer behind it to stop that from continuing. It's not often this'll be out in the rain, but I'd rather have it stay generally dry inside. Following that, I drove down to the junkyard and grabbed a wiper switch from a '89 Town Car that had a pretty decent tan leather interior. Someone took the driver's seat, but the passenger seat still looked great! Very surprised to see that. Next time I'm working on the wagon, I'll swap in the switch and see if that brings the wipers back to life. If not, I'll keep troubleshooting. Cruising around, I did notice the fuel gauge is a little erratic right now. 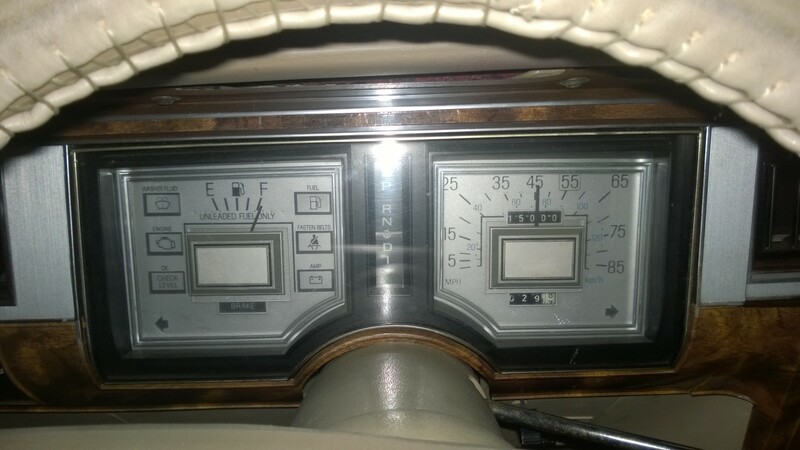 It had been hovering around the 1/2 mark for a while, then dropped to almost E with the light on, then the light went off and the needle stayed near E. I tossed some gas in and it only took 10 gallons. I'm guessing the sender hasn't seen much action, so it might need to just be driven so that the float can make a few sweeps. Surprisingly over the 180 miles it had covered at that point, it had an average of 17 MPG in a lot of city traffic. Better than I expected. The 3.27s definitely help out since it doesn't take much to get it going. When I parked it under its carport this evening, I did install the NOS tailgate handle and replacement screw to figure out if the tailgate would fold down. Unfortunately, it feels like something is sticking because it won't fold down after the window is lowered. Still swings open okay, though. I also tried some TR-3 on the hood to see if I can get a shine out of the rather dull paint. I did get a bit of a shine, but it'll need a few rounds of that stuff to really determine if it can shine the finish. The single stage garbage has not dealt well with the sun, but when it was done in the first place, it was done poorly. Some day it'll get a proper repaint, but for now, the focus is getting all the interior and suspension bits worked out, then focusing on sprucing up the exterior. All in all, I've been impressed with how well it has been working thus far. Be sure both passenger side tailgate strikers are adjusted and latching. Both have to be latched before the tailgate will allow swing down by releasing the top striker. Both my cars needed adjustment on the top striker. I know exactly the problem for fold down. When you're here Saturday we'll fix it We need to replace the non-existent bushings on the tail gate strikers. Because your wagon was one of the few that worked and had a nice fold down cable but bushing disintegrated and I forgot about it. And we can lube the snot out of everything in the tail gate to make sure window mechanism is AOK. Glad to hear it's fairly leak free. Do keep an eye on the oil pan gasket and oil sending unit. Believe I did the PCV grommet, metal insert/screen and Motorcraft PCV. 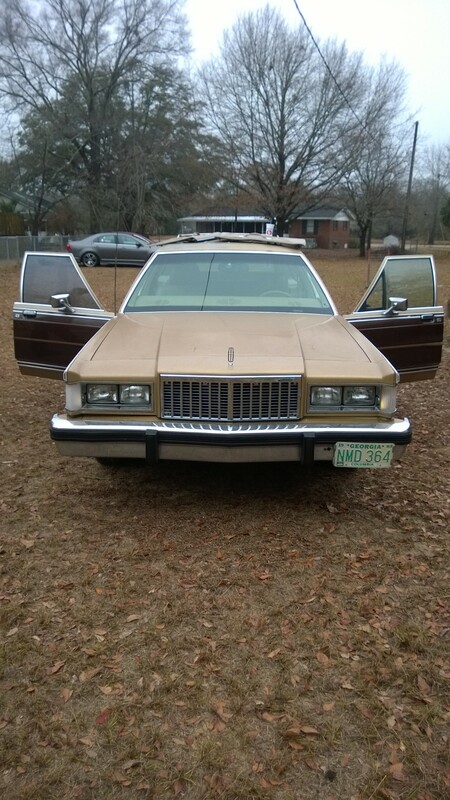 1989 Mercury Colony Park LS - 302 V8- 188K miles. 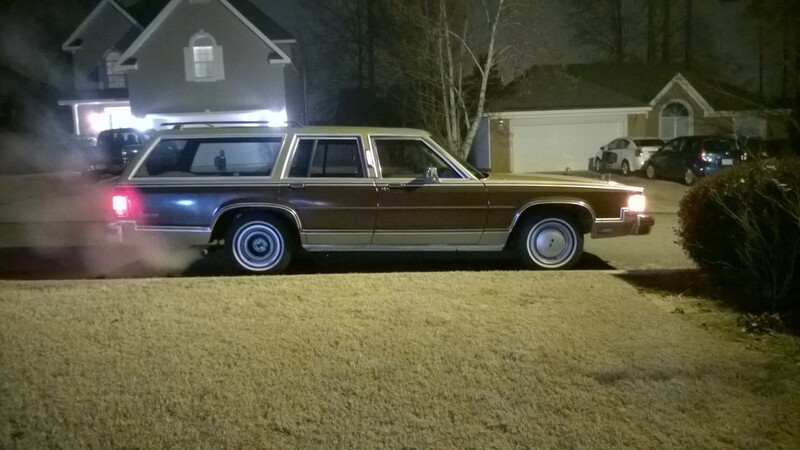 1990 Lincoln Town Car Signature Series - 302 V8- 102K miles. 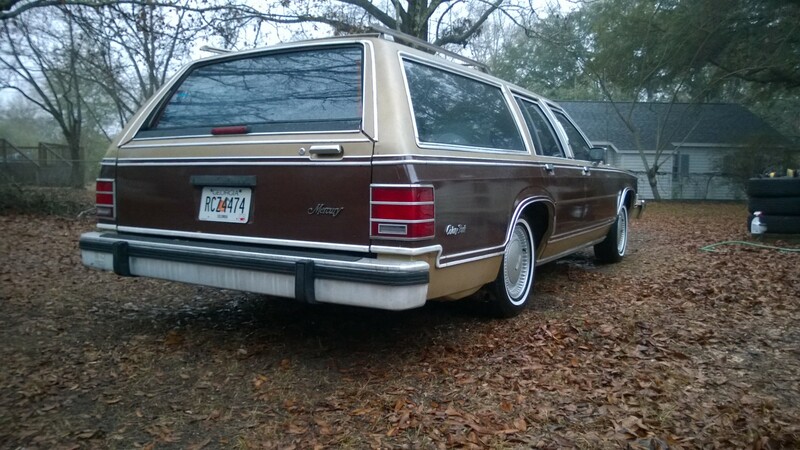 I'd have to figure out some excuse to give to my aunt why I have the wagon since I'm supposed to do plugs and coil boots on her GMQ later that day (unless I get up there early, then get to your place by 10:00). Otherwise, I'd probably be driving the '97 Saturday. Drove up to Nick's today after working on my aunt's GMQ. Grabbed a bunch of additional parts to have for spares and upgrades. Good door seals to replace some shot ones, vent window for the passenger side with good seals and the glass, headlight bezels, and the list continues. 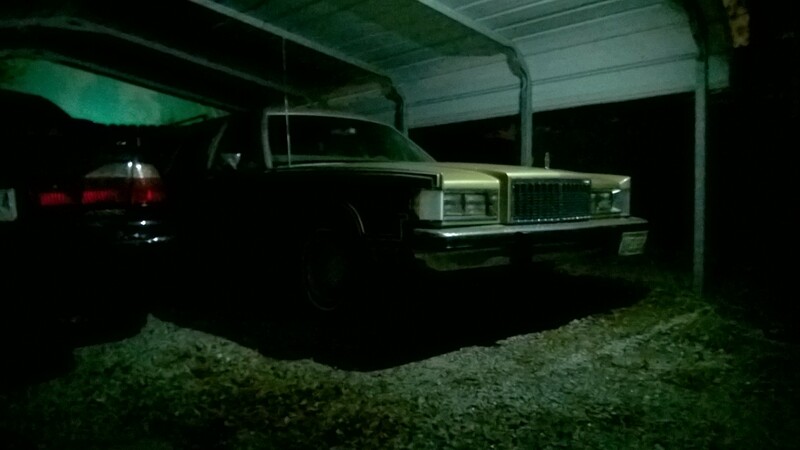 We also took out some of his cars, namely the '89 Colony Park and '90 Town Car. For whatever reason, the '89 really does move better than the '90, despite being similarly equipped. Of course I busted a chunk out of one of those Townie center caps trying to get it off with a screwdriver. Oops. I'll fix it soon since it was only a small, but glueable piece. It seems plastic trim removal tools work great on those, however. The rake isn't as bad as the picture makes it out, and I'm sure it'll actually settle some with proper weight on them. It still has some boaty aspects, but doesn't sag and float nearly as bad as it did. The old springs found themselves to work great living in a trash can. Also, the odometer hit 315,000 miles on the return trip to its garage. The more time I spend learning the "intricacies" of this thing along with the help from Nick, the more comfortable I become getting down to business with it.